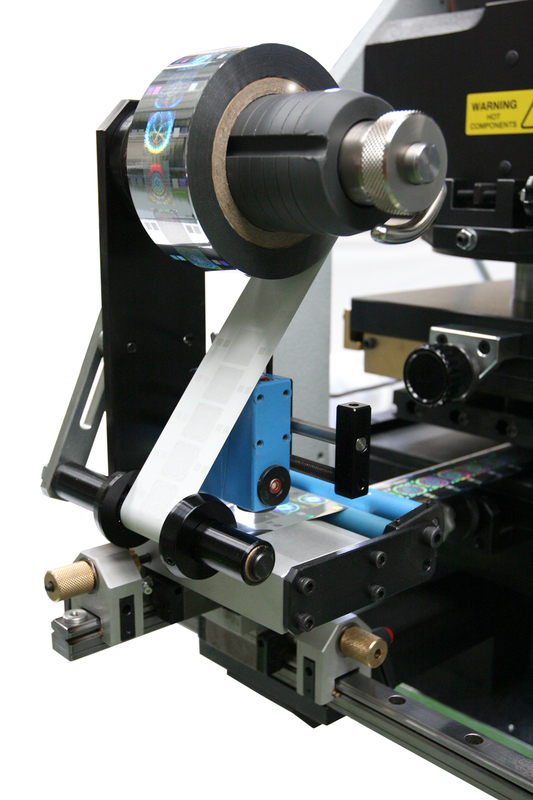 The Hologram Re-registration Unit MKIV can be fitted as standard or retro fitted to the new Newfoil 500 Servo series Hot foil label printing and converting equipment. It has been specially developed for use with the servo series of machines. Holograms are increasingly used for product identification and security purposes within the pharmacutical, electronic and automotive industries.